Scientists have revealed that climate change is currently having a dangerous impact on the global ocean, triggering a decrease in oxygen levels. Eric Prince is a billfish expert who has retired from the National Oceanic and Atmospheric Administration. More than a decade ago, he was studying the tracks of some tagged fish. Suddenly, he observed something odd. A specific species of fish, namely blue marlin that lives off the southeastern United States, would dive about half-mile deep in order to chase its prey. The same species which populates the waters off Guatemala and Costa Rica proved to remain near the surface. It rarely dropped over a few hundred feet. Prince is a specialist, and he had studied blue marlin off Brazil, Jamaica, Ghana and the Ivory Coast. However, he argues that he had never seen anything like it. Apparently, the billfish that dived so deep did so because they were trying to survive. They wanted to avoid suffocation. Furthermore, the blue marlin living in Costa Rica and Guatemala did not want to dive into murky, deep water due to the fact that they were avoiding low-oxygen-level waters. This study represents only one of the examples of how climate change affects sea water and all the animals living in it. 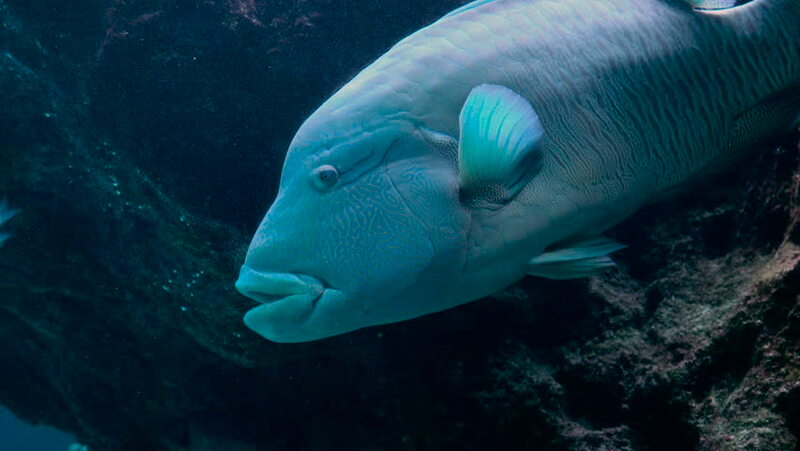 Many species try to adapt to the low levels of oxygen, changing their environment and migrating to different areas or levels of the ocean. 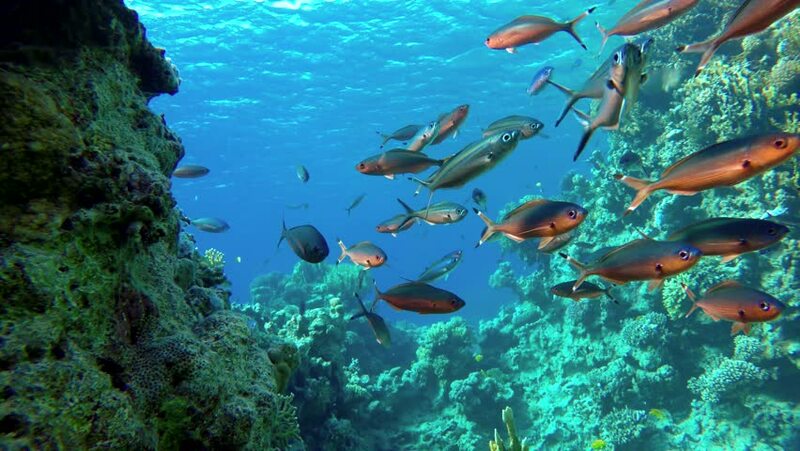 All marine waters are losing their oxygen because of global warming, disrupting numerous marine ecosystems and determining some of them to become extinct. Denise Breitburg is a senior scientist at the Smithsonian Research Center. She argues that policymakers around the world should sit down and discuss global solutions for this problem. Global warming is only making this worse. Breitburg is now the lead author of the new study. The research was published in Science on January 4th. The main purpose of the paper is to analyze the major research developed on ocean oxygen loss. The authors indicate that vast regions of the global ocean confront with this problem. The loss of oxygen also changes places where marine creatures eat and live. Hence, this threatens to shrink the populations of numerous fish species. A decrease in oxygen levels represents one of the most crucial byproducts of climate change. However, very few people really understand its impact. Breitburg indicates that the loss of oxygen leads to the destruction of the ecosystem. More and more species will be affected by this decrease in oxygen levels. If the same problem would happen on land, we would immediately notice that many species are unable to survive in certain areas due to the decrease in oxygen levels. However, if we learn that this scenario is true for the underwater world, we do not really realize its impact. The problem is more severe than we think. If many fish species disappear then all their predators will also disappear. The trophic chain will be destroyed. Oxygen loss is a real problem, just like ocean acidification and warming seas. This is also another effect of climate change affecting the world we live in. The research that Breitburg developed does not only focus on coastal dead zones, like the polluted runoff-fueled area in the Gulf of Mexico. Furthermore, it concentrates on analyzing enormous areas of deep water that can stretch for thousands of miles. The most important thing that this study reveals is that these low-oxygen areas occur naturally. Unfortunately, their seize reach over 4.5 million square kilometers, and they do not seize to grow. This area is almost as big as the European Union. This zone has started rapidly growing since the mid-20th century. The main cause of this disaster is the rising temperatures. We know that during the last decade the global average temperatures have dramatically increased, causing disastrous weather events. Climate change is to blame for the rise in temperatures which caused significant draughts and unprecedented storms and floods all around the world. Furthermore, the high temperatures have also triggered numerous heat waves in different areas of the globe. Temperatures rise due to the increase in the greenhouse gas emissions that trap the solar heat within the atmosphere. The accumulation of heat influences numerous ecosystems and weather patterns. It also triggers warmer ocean water, disrupting the habitats of several marine species and jeopardizing the life of the Great Barrier Reef. When the water is warm, it carries less oxygen. Furthermore, it stokes the metabolism of larger marine creatures and microbes, triggering them to fuel on even more oxygen. Therefore, as climate change turns the water warm, starting from the surface towards its depths, the surface layer becomes more buoyant. In this way, warm water becomes lighter than cold water. This makes it difficult for fresh oxygen to penetrate the deep layers of ocean water. Specialists indicate that the oxygen-poor zones are currently expanding toward the surface by a meter per year. The vast ocean areas also include territories in the eastern Pacific and Baltic Sea. In only a quarter century, an area deep off southern California has experienced a 30% decline in oxygen levels. Another dramatic discovery is that an oxygen-poor area of the Atlantic Ocean located near the coast of Africa is more massive than the continental United States. This zone has increased its surface by 15% since the 1960s. In only 50 years, the global ocean has lost approximately 2% of its oxygen levels. The new study also indicates that the amount of completely-free-of-oxygen water has increased four times. Scientists have already identified 500 areas along the coasts where oxygen levels are extremely low. The decrease in oxygen levels in the global ocean represents a new threat to marine creatures. Thousands of species could go extinct, affecting the whole trophic chain and disrupting the ecosystem. If they are unable to adapt to the new oxygen levels, they will have no chance to survive. Climate change strikes one more time, affecting innocent creatures that live in warm ocean waters.